PIAA Lamps - 410 Series UNIVERSAL - Dezod Motorsports Inc - Home of the automotive performance enthusiast since 2002. Compact design and high output Xtreme White bulb combine to provide maximum performance and versatility. The 004XT has a wide variety of applications for cars, trucks, and SUVs. Discover for yourself what a difference a little light can make. 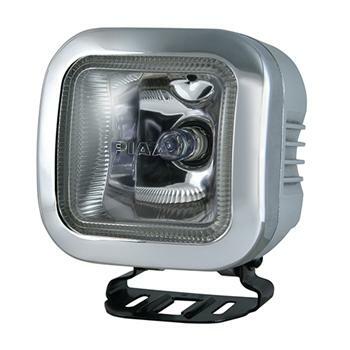 The 410 Driving light features PIAA’s Intense White beam color and is specially designed to fit a square opening in your bumper or grill such as the Ford Super Duty’s.